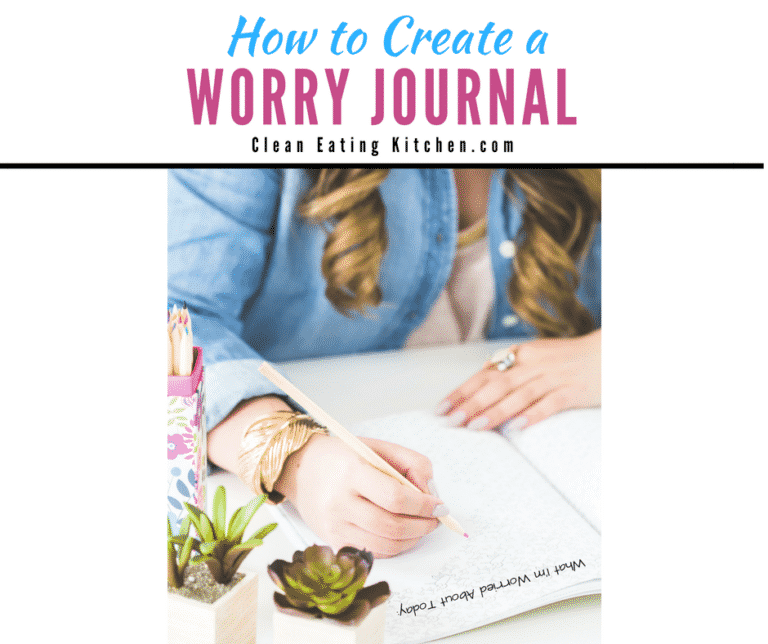 Creating a worry journal is an effective way to manage anxiety. Here’s an example of how to create one. 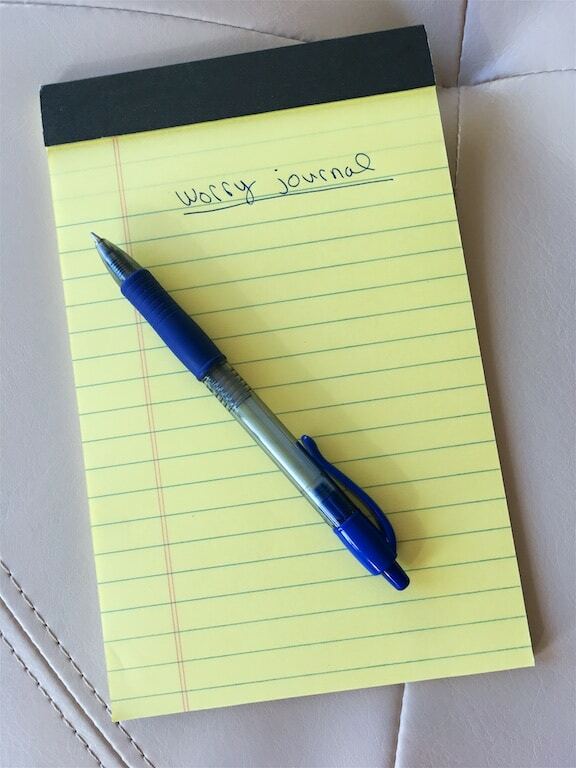 One of the strategies I have been using to manage anxiety and stress is to write in a “worry journal” every evening. I’ve been doing this for over a year now, and it’s helped a lot. Here’s exactly how I do it. I mentioned this as part of my review of The Power of Rest book (you can read that review here), and a few readers asked that I expand on how it works or, at least, how I do it. 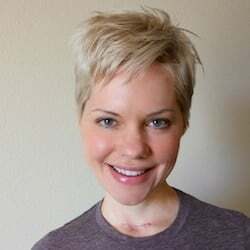 Dr. Edlund, the author of the book and a sleep expert, describes this method in full in his book as part of his “Sleep Makeover Day 5: Learning Not to Worry.” The basic premise is that if you take 5 minutes to write down the top worries on your mind, as well as a simple solution, then it eases the stress on your mind and can help prevent middle of the night worrying that keeps so many of us awake. Just to be sure, you don’t want to do this right before bed, you should ideally do it 1-2 hours before going to sleep. You want your solutions to be at the top of your mind in case you wake up, but you don’t want to risk increasing your thoughts and potentially creating more stress. It really does seem like a simple thing to do, but I’m telling you, it’s worked wonders for me. I’ll give you an example of some worries/solutions that I write down (try to shoot for 3-4 of your most pressing stressors). I am worried about the current state of politics. Solution: Recognize that I need to remain trusting in the democratic system and hopeful that there are some people I trust who are working to represent my interests. I am worried about my upcoming business project because it feels overwhelming. Solution: I need to trust in the fact that I found a good coach to help me through the process. I am going to take it one step at a time. I am worried that I am spending too much money to support my business. Solution: I will re-evaluate my expenses one month from now and make changes based on the current state of earnings and obligations. See? It doesn’t take long, but it helps get out any frustrations or concerns about the day, and puts it in perspective. Dr. Edlund acknowledges that some worries are so intense/real that there aren’t obvious solutions, but even just noting to take things “one day at a time” can be a comforting solution for now. I am grateful for the healthy foods I ate today. I am grateful for the walk I took this morning in the fresh air. I am grateful for the snuggles I had with my cats. I am grateful for the healthy foods I ate today that nourished my health. There are so many books and studies on gratitude and its positive effects on health, there’s no question that making it a daily practice is beneficial for health. Is this helpful? Do you want to see more posts related to managing stress and anxiety? Let me know in the comments; I love hearing from you. Let’s stay connected by e-mail! Sign up here to receive my weekly newsletter with the latest news to inspire your health journey. I use this strategy myself and with my clients and find it can be really helpful especially when you include a focus on gratitude to balance out the worry. Thank you for sharing this! Hi Jennifer, thanks for the note. I love your suggestion to use a focus, and the gratitude component is a necessity for me at this point. XOXOXOXO. Thanks for sharing. This makes sense. I re-read #1 over and over. I am the biggest worrier & the media does not help. I have also thought of starting a gratitude jar. Adding one slip of paper with at least one thing I am grateful for, then at the end of the year ( or when I need a morality boost) pull them out to read. On a completely different note, I have read you are a runner. Can you post runnng topics from time to time? I just began last spring. I am not fast or anything, but pointers would certainly be appreciated. Hi Paula. I’m so glad this post resonated with you, including the #1 on my worry list. I have a feeling that many people are experiencing worry right now, and the future will most likely contain more events to incite anxiety. There are very big challenges ahead for everyone, especially those of us who are sensitive. I don’t know which direction our country will go overall, but I am hoping that as individuals we can grow stronger from these difficult times. I love the idea of a gratitude jar. I think reflection on the beautiful and gracious parts of life is the key to happiness. Sending you much love, Paula. XOXO. This is a really great idea! I need to start one of these. I feel like when we try and work on stress, we just try to relax, without necessarily taking steps to try and relax. Physically writing down our worries and thinking of solutions is a really great idea to try and reduce stress. Thanks, Kimmy!!! This has been a really effective strategy for me. It probably helps that I love to write, too. 🙂 XOXO. Thank you for sharing this Carrie! I needed a reminder right now about how powerful this tool can be. You’re so welcome, Jennifer!!! XO.